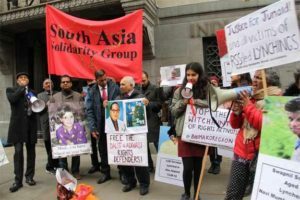 London: Ignoring chilly cold weather in the cloudy and depressing Saturday afternoon, representatives of South Asian organisations in UK stood for more than two hours outside the Indian High Commission protesting against human rights violation in India. 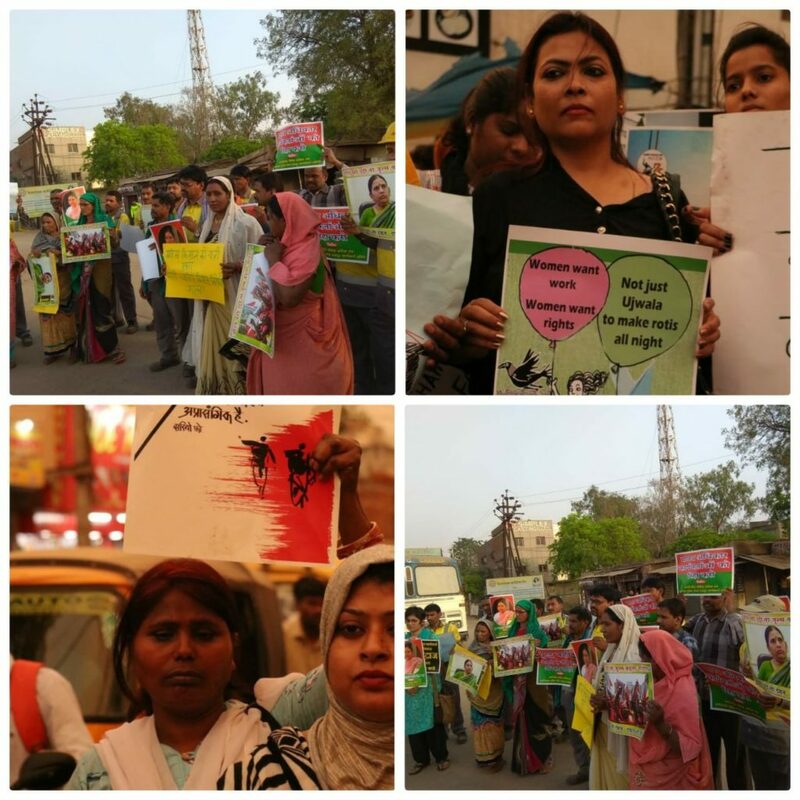 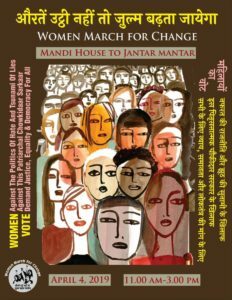 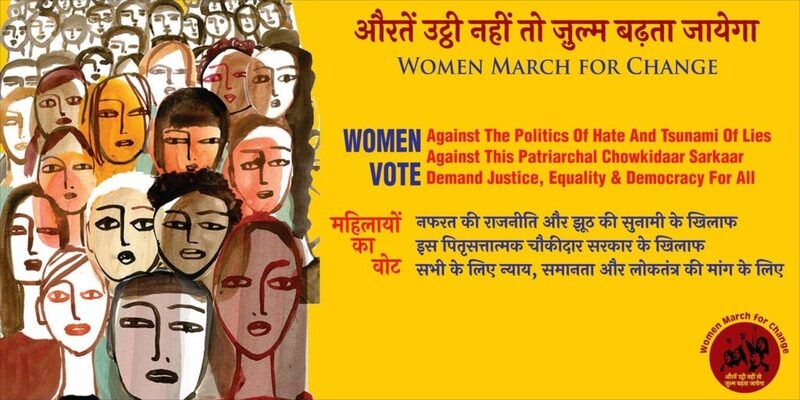 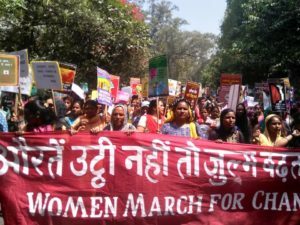 Women marched for change in several cities across India on Thursday. 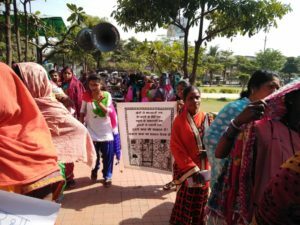 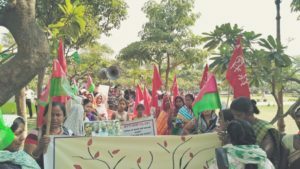 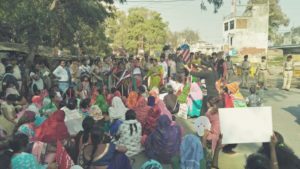 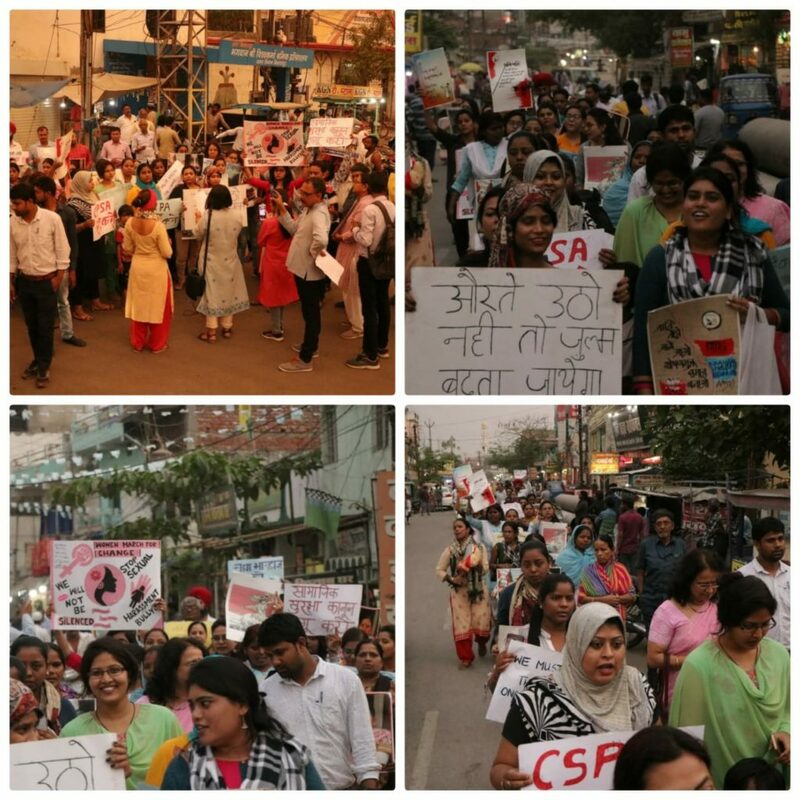 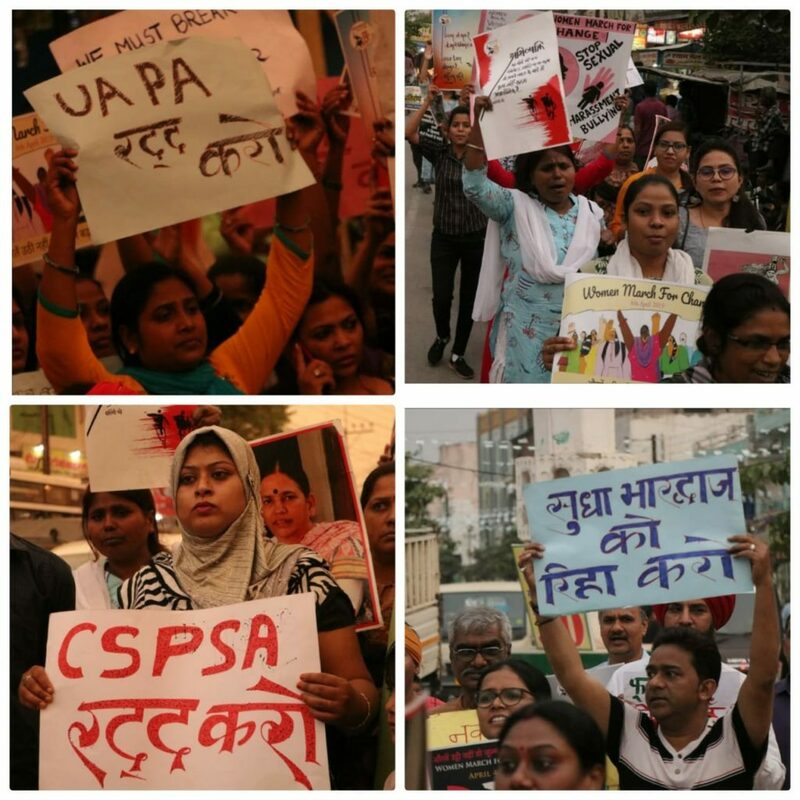 … As the women marched, several chanted slogans that called for an end to patriarchy, fascism and casteism. 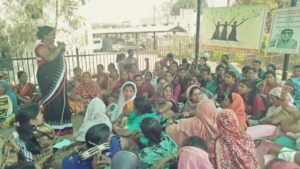 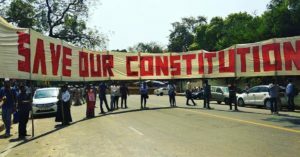 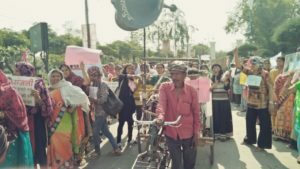 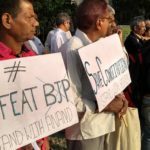 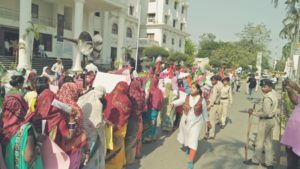 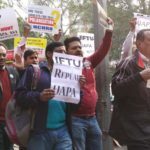 Many women also held posters that demanded the release of activists Shoma Sen and Sudha Bharadwaj, who were among nine activists arrested in June and August in connection with an investigation into a public meeting organised a day before caste-related violence erupted at Bhima Koregaon near Pune on January 1, 2018. 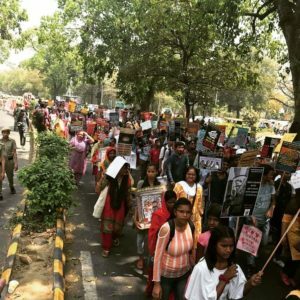 March for Change was happening across 20 states in over a 100 places. 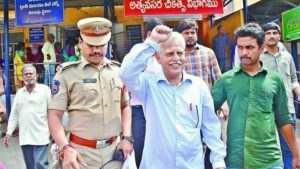 The 79-year old renowned poet and public intellectual Varavara Rao, along with four others, was arrested by police on August 28, 2018 on fabricated charges and Supreme Court of India intervened and directed the police to keep all the arrested under ‘house arrest’, pending legal reliefs. 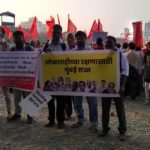 Finally he was arrested on November 17, 2018 and imprisoned in Yerawada Central Prison, Pune since then. 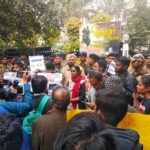 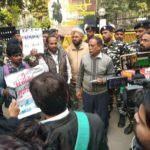 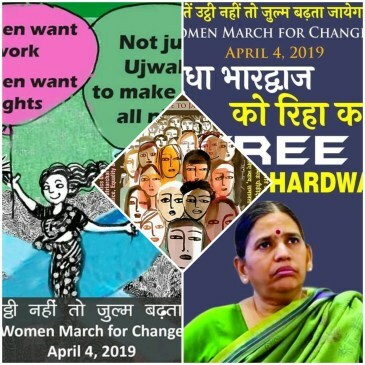 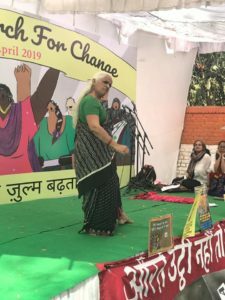 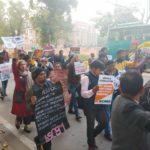 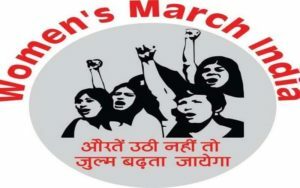 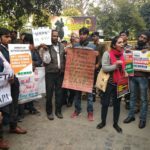 Detained human rights defenders Sudha Bhardwaj and Shoma Sen expressed their solidarity with Women’s March India when making an appearance in court. 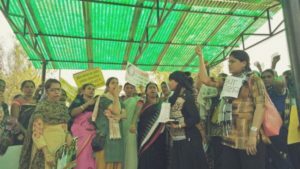 They said that they would march inside their jail cells on April 4. 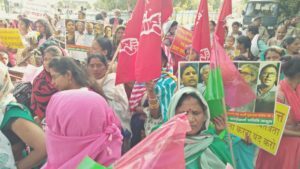 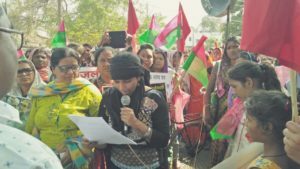 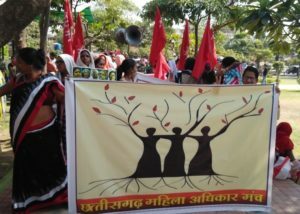 Solidarity with Sudha Bharadwaj and other accused at International Women´s Day in Raipur (Chhattisgarh). 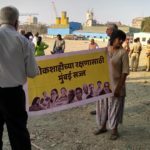 – Immediate release of the falsely incarcerated Reliance Energy workers. 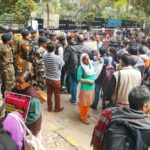 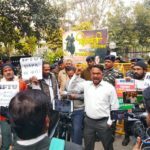 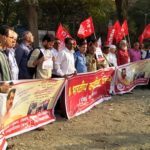 – Immediate release of the lawyers, professors, poets and activists falsely arrested and implicated in the Bhima Koregaon. 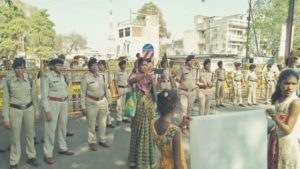 – Immediate end to the use of draconian laws. 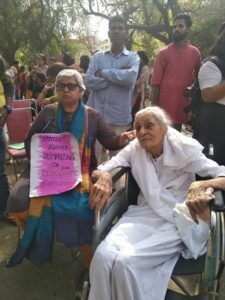 Drop the false charges against Fr Stan Swamy immediately! 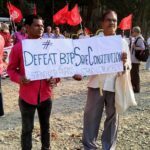 We stand together strongly to condemn the false allegations and defamatory charges against Fr Stan Swamy by the Pune police, under the Unlawful Activities Prevention Act, 1967 (UAPA). 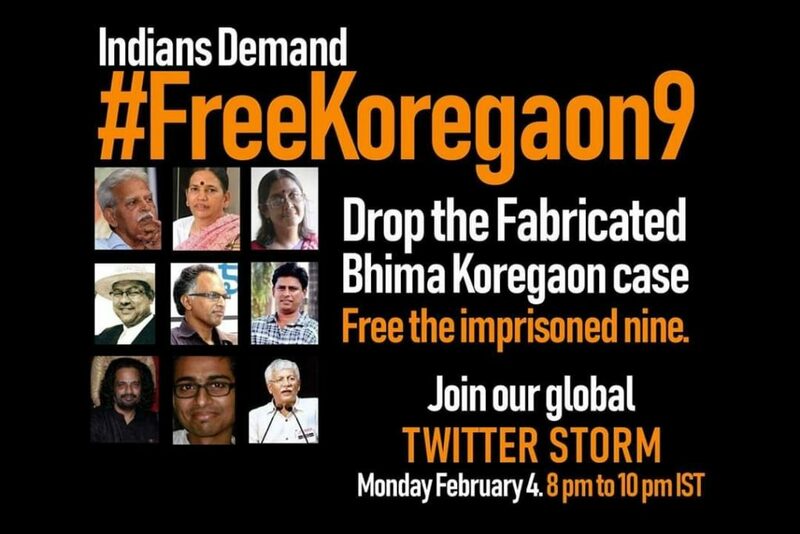 These charges frame him in the Bhima Koregaon case, call him an “urban naxalite”, and accuse him of plotting the assassination of the Prime Minister. 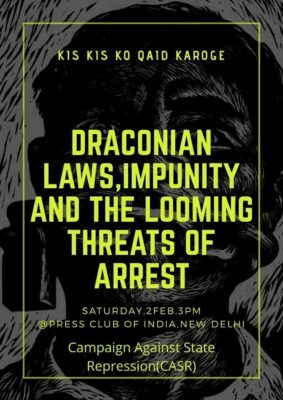 They are patently false and defamatory. 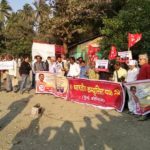 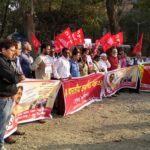 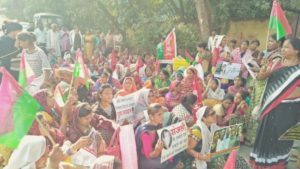 The united left and progressive parties organizations came together at Azad Maidan, Mumbai on 25th January demanding withdrawing of malicious cases against Dr. Anand Teltumbde and Prof. Hiren Gohain from Assam.